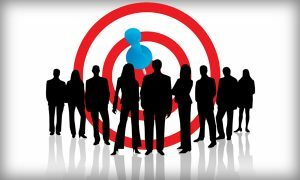 Home » Entrepreneurship Training » HOW TO IDENTIFY YOUR TARGET AUDIENCE. HOW TO IDENTIFY YOUR TARGET AUDIENCE. 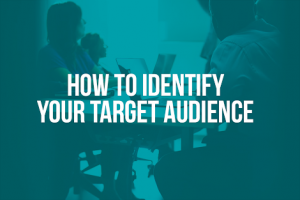 How do you identify your target audience? As a marketing expert, how do you know the likes, wants and the needs of your target audience? How can you promote or pitch an idea to a group of people you know nothing about? Everything about marketing—content marketing, network marketing, affiliate marketing, and digital marketing generally requires you to truly know and understand your target audience. 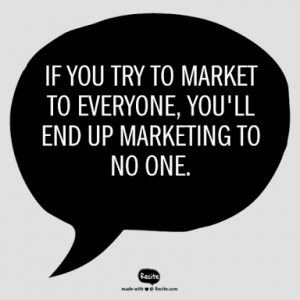 Marketing is about people. It is about understanding what people want and strategically placing what they want before them. For instance, If you don’t know who you’re creating content for, you may end up wasting time producing material that doesn’t even resonate with your audience as a content marketer. As a marketing professional, it’s your job to get to know your audience. It is important to know the likes, wants and the needs of your target audience. You must also be able to anticipate how they will react to things. In today’s post, we are going to be looking at several ways you can explore the process of identifying and getting to know your target audience much better. Let this be known to you that everyone cannot be your target audience. If you think everyone is your audience, then no one is your audience. Marketing is about meeting the needs, wants and desires of a targeted audience. Audiences are different. They have different needs and different priorities. If you do not focus on specific audiences, then you will not have audiences because competitors will target their efforts on specific audiences, meanwhile the most profitable ones and win their business. 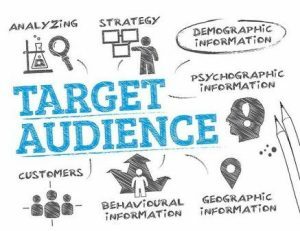 Identifying your target audience entails you to first figure out the need for your product or service, focusing on what problem it can solve. Then refine your target market by identifying who has bought your product or service already. This includes target demographics, audience type, and any other attributes about your target customer segment. If your product or service is brand new, a good alternative might be looking at your competitors to get additional insights. 1. To list the benefits that might be sought by your targeted audience. 2. List possible segments defined with appropriate labels. 3. For members of each segment, estimate the importance or priority for each benefit. 4. Combine the segments if their priorities are similar. Please always remember that both the list of benefits and the priority estimates should be collected from your audiences and no assumptions. After you have been able to know the answers to these questions. 1. What Problems Do My Products or Services Solve? If you have a product or service, what purpose are you serving? You must have a better understanding of how you help your customers. What are you helping them achieve? Why would they choose you over the competition? This will tell you just about everything you need to know about your customer’s needs, wants and demands. By understanding what they want out of a product you offer, what they get out of it and why they continue to use it, you can identify who they are. 2. Create Customer Profiles And Market Segments. Those audiences that find your product or service appealing often share similar characteristics, which will help you to fine-tune your message to them from top to bottom. You can craft a customer profile to uncover those shared traits. This includes psychographic data about how they behave, and basic information to help you identify your audience. Every industry, business and product is different, so these lists are by no means the end — more of a starting point to evaluate market segment size and opportunity. Don’t be afraid to make adjustments and include criteria that add interesting layers to your profiles — the better you know your customer, the better you can sell to them. Narrowly defining your target audience is more of an art than a science. As you get started, try to be as specific as possible. By starting with a detailed customer profile, you’ll be able to make the most educated decisions when it comes to building custom audiences and crafting compelling advertising and marketing campaigns. Identifying a specific target audience helps ensure that you make decisions that are dictated by your customers, which sets you up for long-term success. Their attitudes. Beliefs. Pain points. Understanding their age and income is the first step, but drilling down to the core customer problem is what will help set your products — and brand — apart from the competition. The final piece of the puzzle is to look at the grass on the other side of the fence. It sounds funny doing exactly what the adage says not to, but in this case, it can help. Look to your competition for ideas on improvement, or even examples of what not to do. What do your customers gain or lose by choosing your products over a competitor’s? What is your rival doing that you’re not? What kind of success and failures have they had? Are they focused on the same demographic as you? How to Market to That Target Audience? Here are the basic steps you can take to get to know your audience better and master speaking to them directly. 1. Find Out Where They Spend Most of Their Time. 2. Reach Them Via Email Marketing. 3. Take Time To Understand The Needs Of Your Customers And Then Anticipate Them. 4. Blog About Their Interests or Offer Advice. Without a target audience, you may have a product or service designed for everyone which means it is designed for no one in particular. 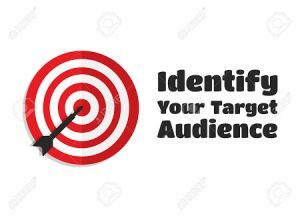 Identifying your target audience is crucial as it allows you to see the market opportunities you have and compare them. CLICK TO HIRE AOC TO SPEAK AT YOUR EVENTS. Pingback: How to truly connect with your prospect on social media. Pingback: 3 Mlm recruiting tips that will take you from a newbie to a leader.